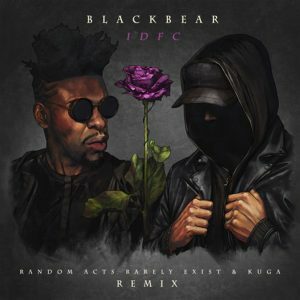 Blackbear’s “IDFC” is probably one of my favorite songs, due to the type of emotion Blackbear would put into this song. Anyone who has gone through the love process could be able to understand what Blackbear was singing about. Honestly I thought it could not get any better until this remix came out. Random Acts Barely Exist and Kuga were able to turn his song into a phenomenal EDM song, providing new vocals to the song as well as a killer beat to match the emotions behind the lyrics. Make sure to show some love to the artists, as well as download the song through their SoundCloud below .